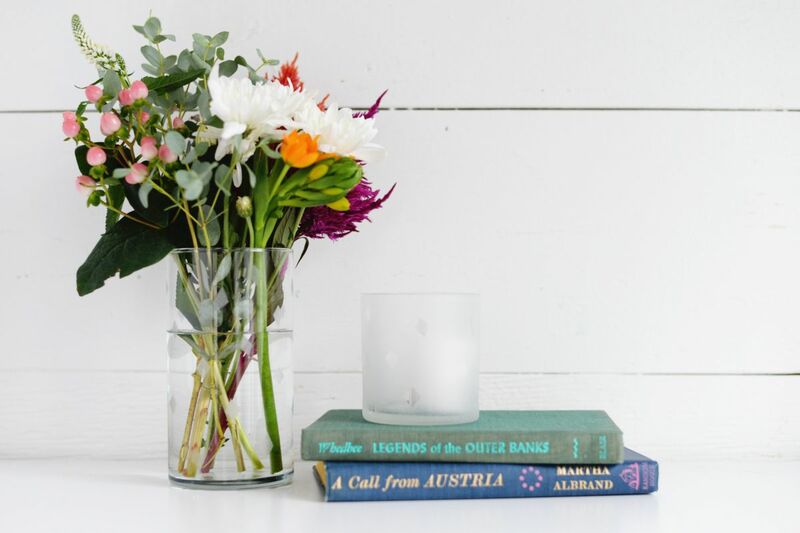 Turn an old thrift store vases into versatile modern accents for your home. 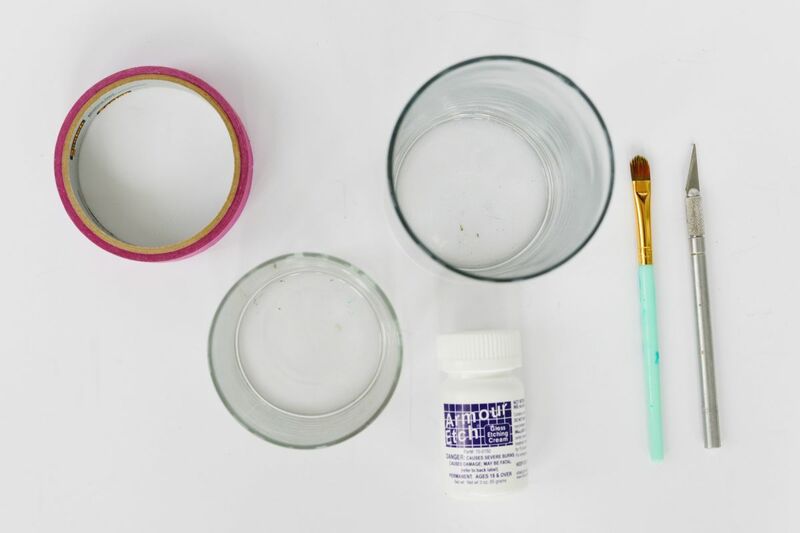 Etching cream provides a simple and easy way to add texture and pattern to a simple vase or glass. 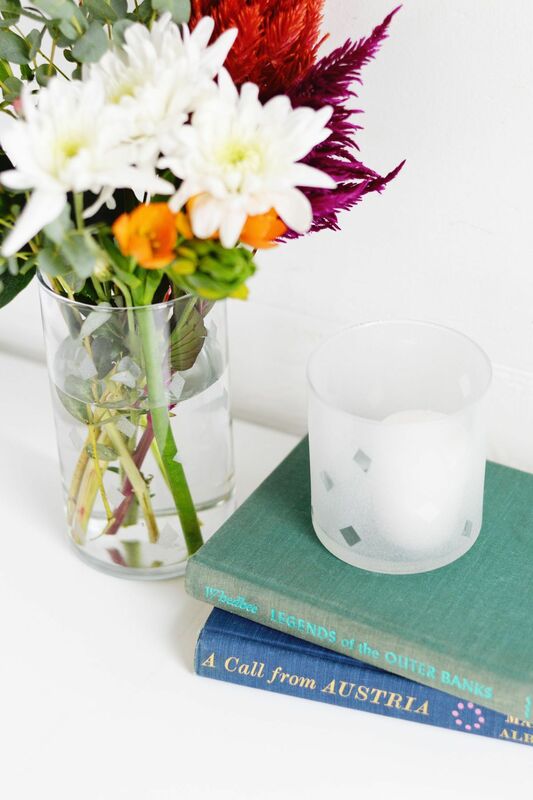 Use a modern geometric pattern or customize the glass with a monogrammed initial to up cycle your vase. 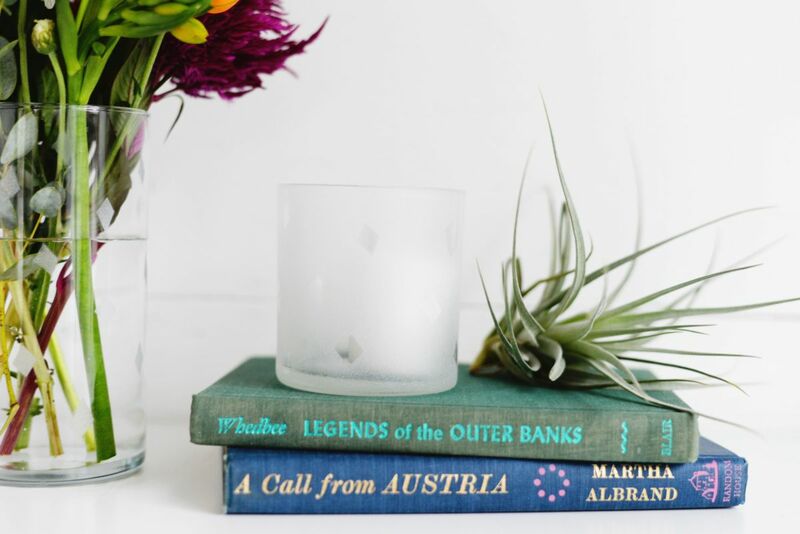 Use to display flowers or as a vessel for a simple tea light to show off your work! 1. 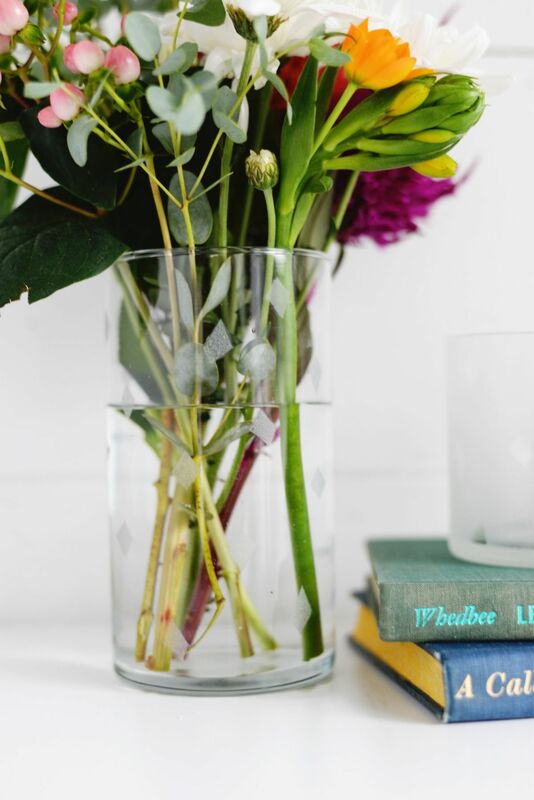 Clean and thoroughly dry your vase to start. 2. Nest, create your template using masking tape. Here we used simple little diamonds. We used a straight edge and pencil to mark out the sides on a small piece of masking tape. With one of the vases we used the diamond cutout all over (which created un-etched diamonds while the rest of the glass was etched). We also used the outside of the diamond cutouts on another vase that allowed us to etch the inside of the diamond to create an etched diamond pattern all over the vase. Ensure that your tape is applied well to help prevent bleeds with the etching cream. 3. 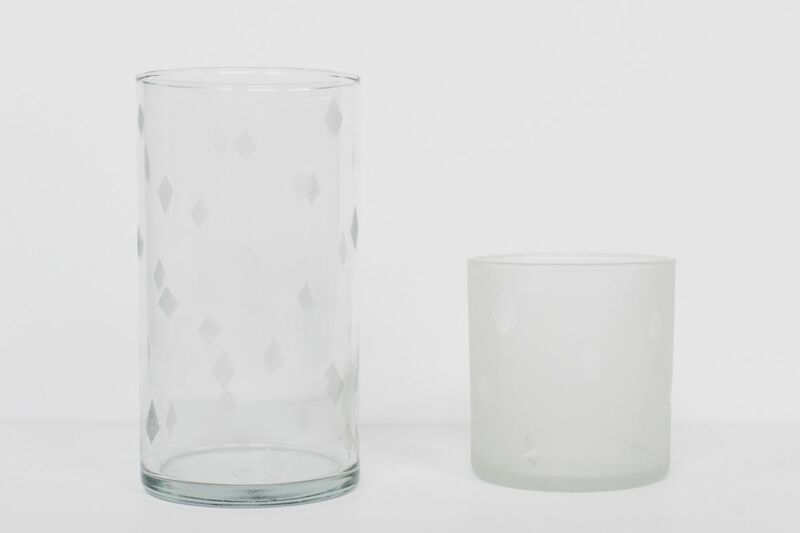 After applying your template, use etching cream to fill in the open areas (the glass that you want etched) on the vase. Make sure to use gloves with the etching cream as it can be caustic when coming into contact with your hands. With our larger vase we filled in the small diamonds and with the smaller vase we filled in everything around the diamond patterns. When applying the etching cream, follow the directions on the back of the bottle for concentrations and layers. With the cream used here we had to apply many layers with a medium amount of pressure while continuously spreading out the cream to create an even effect. 4. Once your cream dries, run the vases under water to get off any excess grit from the cream and dry thoroughly. 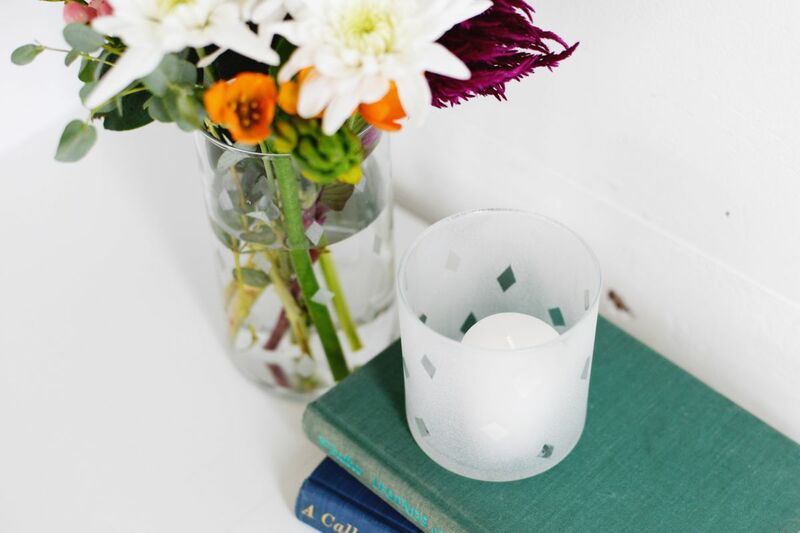 Add a few fresh florals or candles to your vases to show off or illuminate the patterned details!